The Highland features a shell constructed of windproof/water resistant polyurethane-coated medium weight 100% Taffeta nylon. 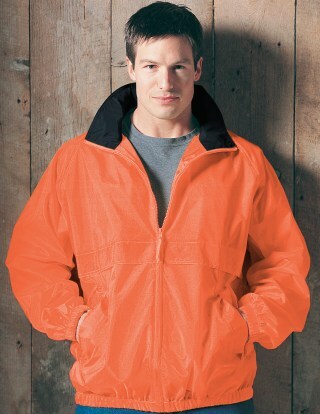 Also features contrasting collar trim, half lined with mesh. Elastic cuffs and waistband. Back yoke opens for added ventilation. Raglan sleeves. Hood is easily concealed in collar. Hood is easily concealed in collar. Matching pant style # 1200 "Escorts" or #3200 "Sidekick".